Galatians is probably one of the most misunderstood and misused books of the New Testament because of the lack of understanding of its literary style and original context. Paul’s Epistle to the Galatians is a fiery literary composition that was meant to grip its original readers with the importance of freedom from most of the commandments of the Torah that the Gospel offered its non-Jewish recipients. Like all the other Jewish polemical writers of his time, Paul used midrashic methods of interpretation as well as the language of passion, conflict, and exaggeration to pour forth his heart when he felt his congregation was being threatened by a Gospel of Works. This commentary helps the reader understand the delicate balance Paul sought between the Torah and the grace of Yeshua through its analysis of his literary methods and comparison to other Jewish texts from his time, especially 4QMMT from Qumran. The relevance of the necessary balance between faith and works is increasing in our own time as people seek Restoration to G-d’s original plan for his people, both in the Jewish people and in the Church. It shows both Paul’s love for the Torah and his awareness of its limitations to make a person righteous in the eyes of a holy G-d. This book is a must-read for those who want to understand the New Testament in its original context. Hilary Le Cornu, and Joseph Shulam provide a significantly different approach to Paul’s letter, including the beliefs and practices of Paul, the identities of the addressees in Galatia and those influencing them, and the message that Paul seeks to communicate. Taking account of recent developments in Pauline and Galatian studies, coupled with their contributions from Jewish texts and traditions, they provide insights that have never before been discussed in the Galatians commentary tradition. The publication of these viewpoints will significantly enrich the discussion going forward. This commentary is a rigorous, clear exposition of Paul’s most passionate letter. The authors pay close attention to the text, and are well-versed in current scholarship. The distinctive emphasis on the importance of the Hebrew Scriptures and early Jewish writings for the interpretation of this letter is most welcome. Even those who disagree with some of the authors’ conclusions will learn a great deal from this lively, thoughtful exposition. This fine commentary will be valued by a wide readership. Galatians, the archetypical Pauline letter, has been used to characterize its author – elsewhere the Apostle of Christian charity – as angrily anti-Jewish or at the very least, antinomian. This commentary, written unapologetically from the point of view that the New Testament writings are Jewish texts, constitutes a critical assessment of Paul as a Jew who was governed by Jewish principles and methods. Clearly and engagingly written, the authors capitalize on such methodological gains as rhetorical criticism and such recent finds as 4QMMT. There is much here to recommend. This new commentary on Galatians is a treasure of information on the issues dividing Jewish and non-Jewish followers of Jesus among the churches in Galatia. 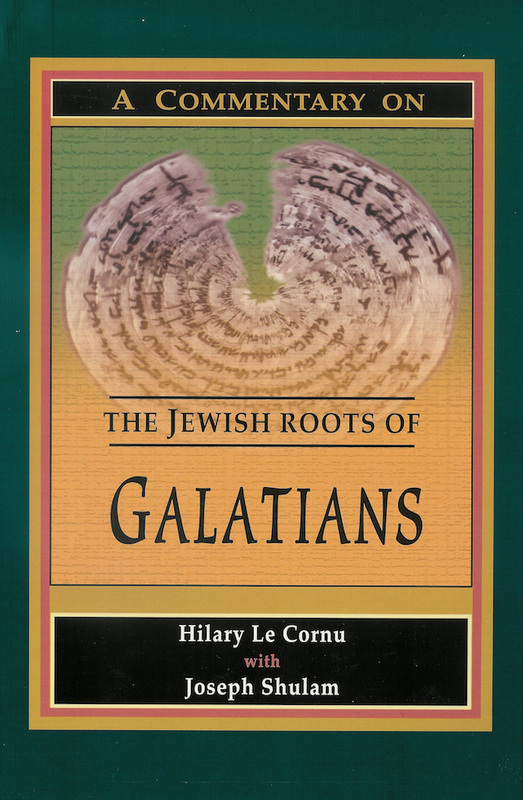 It is abundantly documented with a wide selection of pertinent Jewish sources which help to illuminate the cultural, religious, geographical and linguistic aspects of the Galatian controversy, which is appropriately viewed through the eyes of a first century Jewish apostle and not a sixteenth century Protestant reformer or a twenty-first century theologian.